Since I was a little girl my grandfather has collected pinecones and sold them. He will spend hours upon hours searching for places to pick them up and collects them throughout the year. Then, when fall and winter hit, he sells them to floral shops. It has been a hobby of his for probably 15 years now. So much so, that the floral shops start looking for him around September when the weather starts changing. Unfortunately, his pinecones were not for us to use or play with, so if we wanted any for ourselves, we had to go out and hunt them down. 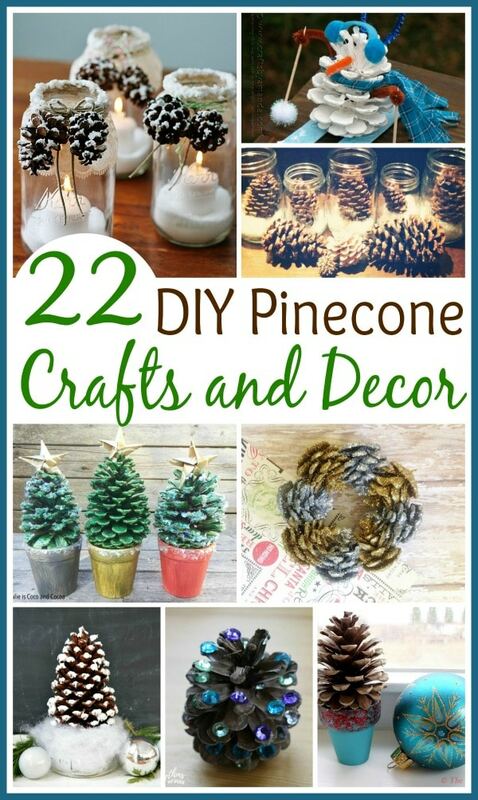 I remember making so many different crafts with pinecones. From art class to Camp Fire girls to just being crafty at home. They were so much fun and since pinecones were easy to come by, we made them quite often. With winter just around the corner, here are some pincecone crafts your kids can make and some décor you can put up around the house.